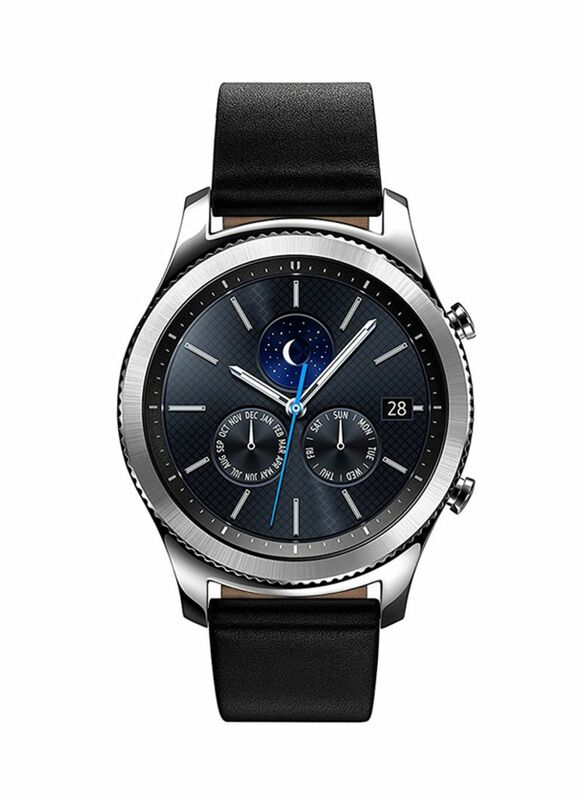 It's the Always on Display that gives the Gear S3 Classic's 3.29 cm (1.3) Super AMOLED display the look of a true watch. 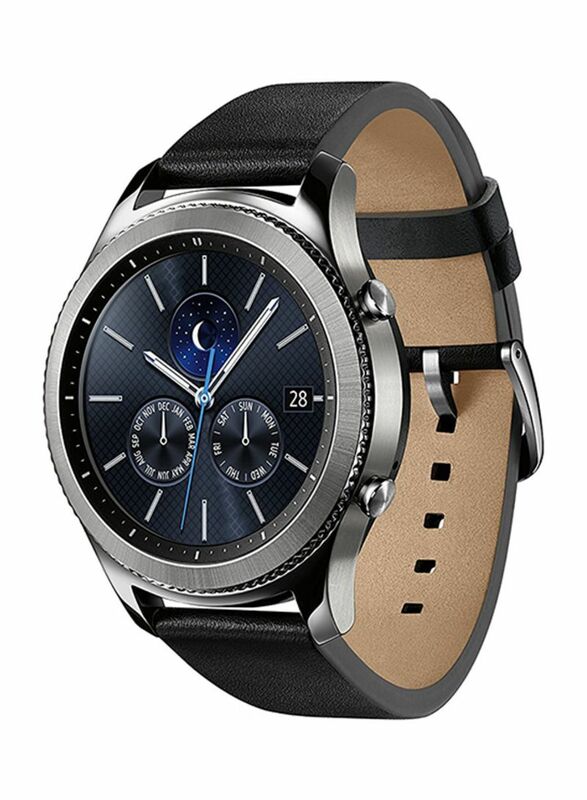 To transform the appearance of your Gear S3, just change the watch face. With 15 preloaded designs and more available at the Gear App Store, it's really a matter of choice. Each watch face comes with a corresponding Always on Display version. Put on your Bluetooth headset and listen to your songs or stream your playlist. Keep your workouts going, your trip jazzed up. 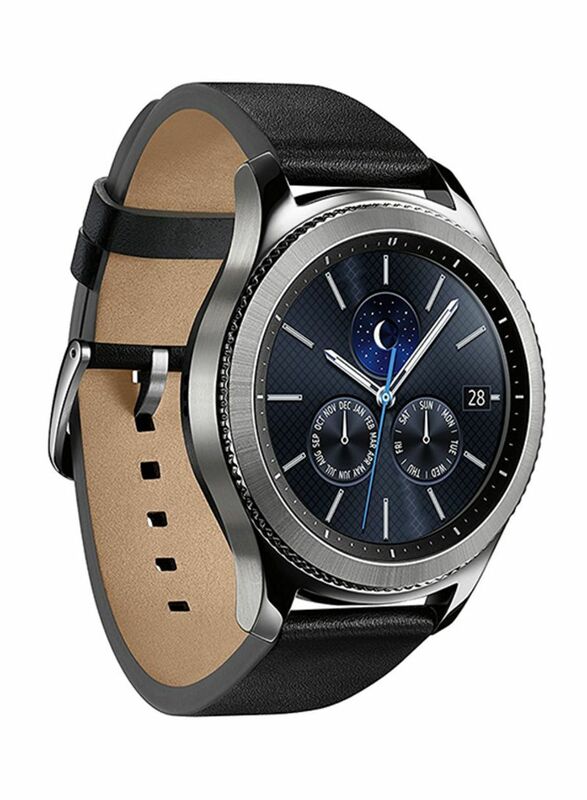 The Gear S3 has 4GB of internal memory1 so you can take your music with you without the weight of your phone. Wear the Gear S3 out in all kinds of weather, to all kinds of places. It's rated IP68 so it's able to withstand dust and dirt and being up to 1.5 m or 30 minutes underwater.